With the intention of improving farm irrigation and water retention for plant grow, Dr. Elena Rosca, senior lecturer at the engineering department of Ashesi, has partnered with the farm modeling team in creating a test case around the possibility of farm irrigation using water retentive hydrogels during the dry season. This experiment is towards a project that Dr. Rosca will initiate in a bid to modify these hydrogels to become bio-degradable and plant-friendly. 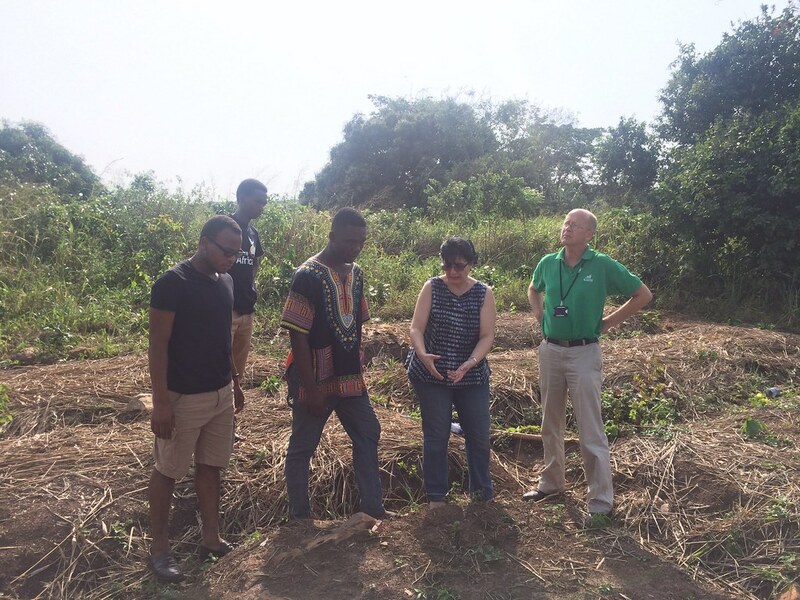 The farm team together with Dr. Rosca, Dr. Charles Jackson, and the D:Lab coordinators visited the farm to explore the potential of the experiment as well as determine the processes involved. Posted in Farm Modeling, ProjectsTagged Agriculture, bioengineering, Design Making, Design thinking, InnovationBookmark the permalink.